Like Google Assistant, Alexa is a cloud-based voice assistant that allows you to interact with your device using natural language recognition. It is the assistant that powers Amazon devices from the Echo series, Fire TV, and Fire Tablets among a handful of other devices. If you purchase an Amazon Fire device, you may be aware that the operating system is actually based on Android, which means that you can run regular Android apps on it. Because of this, it is actually possible to disable Amazon Alexa and replace it with the Google Assistant—well, at least the “Ok Google” detection part! Amazon devices run FireOS which is a heavily modified version of Android, initially based on Lollipop 5.1.1. Some newer Amazon Fire devices may run a FireOS version which is also is a heavily modified version of Android, but based on Nougat 7.0. Older devices, such as the Kindle 8.9, 2nd Generation, runs a heavily modified version of Android, Ice Cream Sandwich 4.0. Any Amazon device with 5.1.1 will only be able to experience Google Assistant at the ‘Ok Google’ level. That is a restriction placed by Google and not Amazon. Currently the full Google assistant only supports some devices running Marshmallow 6.0, but is available on most devices running Nougat 7.0 and above. Google is expected to roll out it’s full Assistant Application to Lollipop devices sometime this year. If you own an Amazon tablet or device such as the Fire Phone, Echo or Fire TV, then you can use this guide to disable Alexa and replace it with “Ok Google” voice detection. For this to work, you will need to at least have the Google App installed and be able to plug your device into a computer and run commands through ADB. This guide works for the Amazon Fire 7, HD 8, and HD 10 tablets. If your device running Fire OS 5.6.0.0, you can gain root access by following this guide. If you’re lucky enough to own a Kindle Fire HD 8.9, you won’t be able to install the required Play Store APKs, but you can gain root access, install TWRP, and flash a custom ROM. Follow my guide here to get started. You don’t need to install a custom launcher on any of these devices for this guide to be successful. There is a certain permission, which when placed in an application’s manifest file, allows an application to alter three categories of settings in the Android platform. This permission, called WRITE_SECURE_SETTINGS, allows an application “to read or write the secure system settings.” These settings can also be edited and modified through the Android Debug Bridge (ADB). Modifying these settings does not require root access. Below is a detailed guide to enable the “Ok Google” support on your Amazon Fire device. If you prefer a more manual approach, please see ‘Manually set assistant application using ADB’ below the general guide. 1. Once you’ve setup the Google APKs and installed the Google App, download and install ‘Settings Database Editor’ from the Play Store. The value to the right of that line should say ‘1’. Tap on the setting and replace the 1 with a 0, then tap save. This will disable Alexa. Reference: 0 = disabled, 1 = enabled, 2 = toggle (though a toggle is not likely to appear in your settings menu. This is because your provider and or manufacturer block out the use of toggles they don’t add themselves). 9. Making sure you logged into Google, open the Google app. If you are on the latest version, tap the three bars at the bottom right of the screen. Tap settings then tap voice. 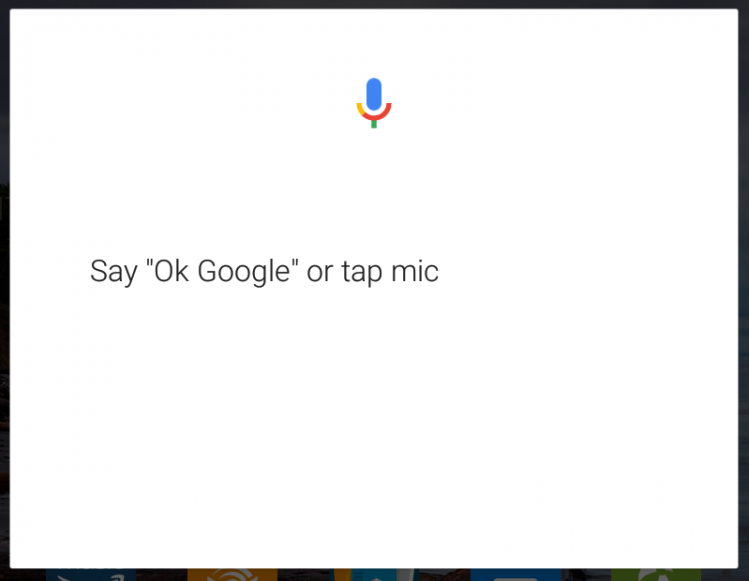 On the right, tap on ‘Ok Google detection.’ Train your voice if it allows you to. You may need to download other Google apps such as Gmail or Maps in order to get all voice options available. 10. Once you’ve done all that, go back to your home screen. If activated, just say ‘Ok Google.’ If the search bar comes to life, simply speak your search query. Your assistant is now active! 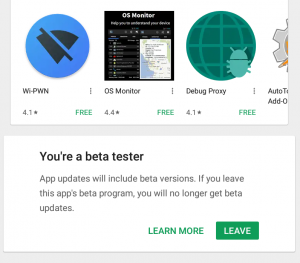 To get your device ready to accept the full Google Assistant when it rolls out to Lollipop devices, you can join the Google Play Services and Google App beta programs. However in order to do so, you must disable the Amazon App Store and OTA updates, but that’s only possible on FireOS versions 5.4.0.0 and lower. The steps below will guide you in disabling the Amazon App Store, but be warned, you will not be able to re-enable it unless you do a factory reset. Once completed, visit this link to join the Google Play Services beta program and visit this link to join the Google App beta program. Now wait a few minutes and open the Play Store. Go to the Google App page and see if you’re a beta tester. If you’re signed up to the program, you may need to update the Google App, but only do so once you’re successfully a beta tester. Alternatively, you can use ADB to add and modify these settings, along with any others you see in the three tabs in the Settings Database Editor app. Be warned, you can brick your device if you change any settings in which you have no idea what they do. It is advised to use the above method to achieve this goal. For a more manual approach, follow the steps below. Only use the manual approach if you are comfortable with using ADB. 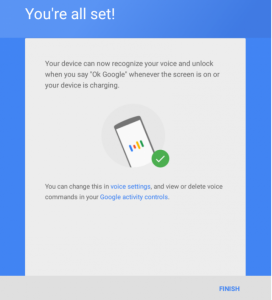 With these settings in play, your device is now setup to receive the full Google Assistant once it’s rolled out to Lollipop devices. Until then, you can have just as much fun with ‘Ok Google’ voice commands.